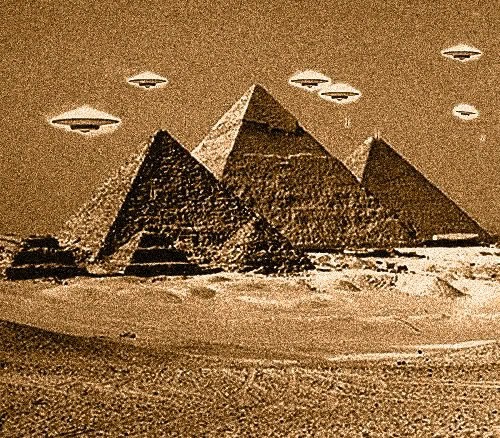 Ancient Astronaut Theory is a pseudo-scientific theory that believes that earth was visited in the past by extraterrestrial's and made contact with humans. This theory holds aliens accountable for the forming of technologies and religions on earth. Ancient astronaut theorists believe that structures such as Stonehenge and the Great Pyramids. 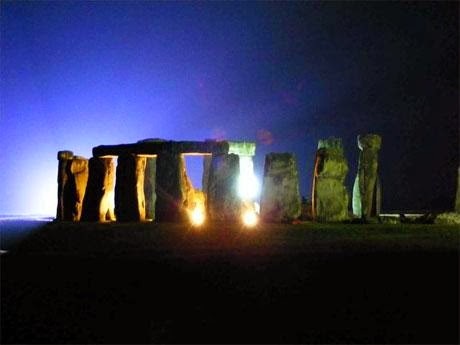 Human remains at Stonehenge date back to 4200 B.C. and required 30 million man hours to build. The position of the stones show that people during that time were able to predict eclipses and knowledge of lunar nodes. Some see it as impossible for man back then to build Stonehenge without extraterrestrial influence. The Great Pyramids has a unique feature in which the height of a pyramid times by 1 million is the distance to the sun. Twice the height of the pyramid divided by the distance around the base equal pi. Accuracy in computing pi was not discovered until 2,500 years after the pyramids were built. Theorists think say that the stone blocks would have needed to be levitated to move the stones from there original locations. Although many people may believe that aliens contributed to the building of Stonehenge and the Great Pyramids, hieroglyphics show pictures of sleds with stone blocks on them. Thirty six percent or 80 million Americans believe that aliens or UFOs exist. Religion seems to be on the decline where one in five Americans do not recognize with a religion. People are looking in to strange things like aliens and have nothing to say that they do not exist. Internet allows quick access to any information and ideas of many people which can be explored. People are attracted to the weird news and information because it is fun, as put by Michael Shermer.